This is a really fabulous book – and at the end I found I was unexpectedly tearful. Ms. Stevens has a wonderful way of introducing characters into the reader's mind, and then giving plenty of opportunity for him/her to empathise, envy, and want everything to work for the pair. In this case, such a powerful message was included with the romance, that it should have everyone thinking a little more about the assumptions they make and the impact of their thoughtlessness. But at its heart is a love story which makes the most delicious progress and ends in a truly magnificent way. Get a copy, read it, and understand what I'm trying to convey! 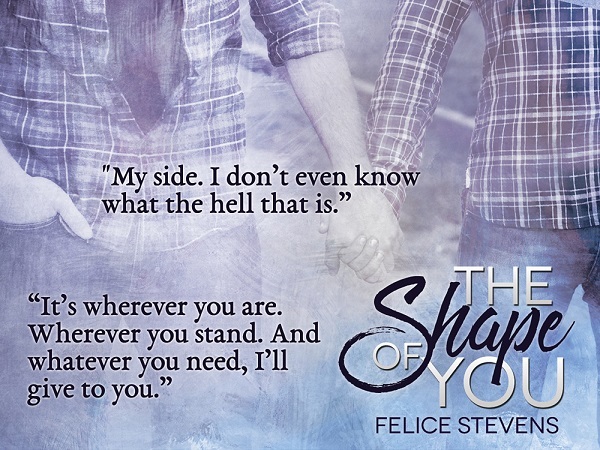 I love Felice Stevens’ books, they give me the feels. This book didn't disappoint. Corey and Eric each have their own issues with food. When they team up to work on a class project together, they become friends and then more. These guys both have emotional baggage and I liked seeing both sides to these guys. Most people know about the harassment/bullying people get when people are overweight, but people tend to forget the other end of the spectrum. I actually said something to a "skinny" person and I wasn't even being negative, but they said, "I hate being this skinny and I wish I COULD gain weight." Ever since that comment, I try to think of both sides of things and this book was great showing the struggles of each. Very emotional at times and I just fell in love with Corey and Eric and felt the connection from the start and it never stopped. Beautiful story. 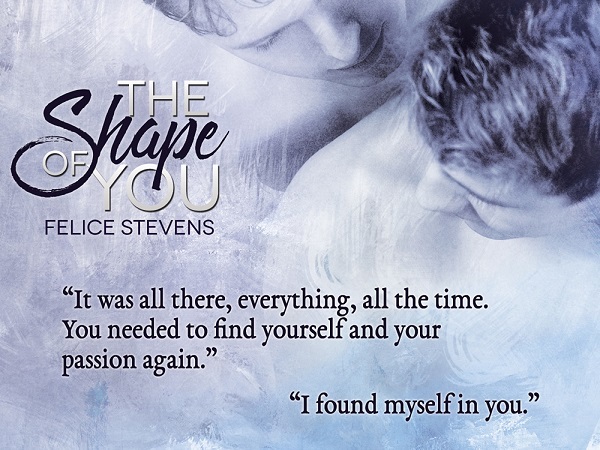 Reviewers on the Wicked Reads Review Team were provided a free copy of The Shape of You by Felice Stevens to read and review for this tour.